In previous versions of Microsoft Project, you had access to a set of files that enabled basic workgroup collaboration features via your organization's MAPI-based e-mail system. Essen tially, you linked the tasks and resources in your project plan to your e-mail system in order to exchange basic assignment and progress tracking information in specialized message forms with team members. 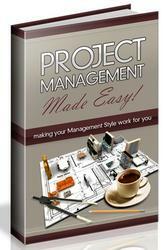 Now in Microsoft Office Project 2003, the workgroup program files are no longer provided with the CD. You have to download the workgroup files from the Web and change a registry setting to enable the e-mail workgroup features for your project plan. The preferred alternative for efficient workgroup collaboration, of course, is Microsoft Office Project Professional 2003 with Microsoft Office Project Server 2003 and Microsoft Office Project Web Access 2003. This suite of products provides everything from sophisticated workgroup collaboration capabilities to robust enterprise project management functionality. 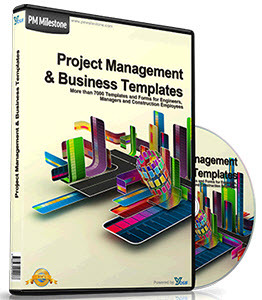 For more information about working with Project Server 2003 and Project Web Access 2003 for workgroup collaboration and enterprise project management, refer to the chapters in Part 7, "Managing Projects Across Your Enterprise." The e-mail workgroup messaging solution has been peripheral to Microsoft Project for the past several versions. However, with the availability of Project Server and Project Web Access, e-mail workgroup messaging is woefully outmoded. Even small project management teams in small companies are finding Project Server and Project Web Access to be the right collaboration solution, which can be scaled to their size and purpose. For these and other reasons, it's expected that Project 2003 is the last version for which email workgroup messaging will be available. So if you've been using e-mail workgroup messaging, now's the time to start transitioning to another method of workgroup collaboration. It might be Project Server and Project Web Access, or it might be a third-party timesheet system that ties in with Microsoft Project.